If you have purchased or leased a new vehicle you may be eligible for up to $1200 in rebates for after-market adaptive equipment and installation costs. 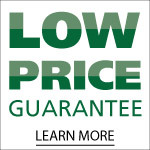 The scooter & wheelchair lifts and ramps we sell are often covered under these programs. Please visit the website that covers your particular vehicle to read about what is covered and how to get reimbursed.